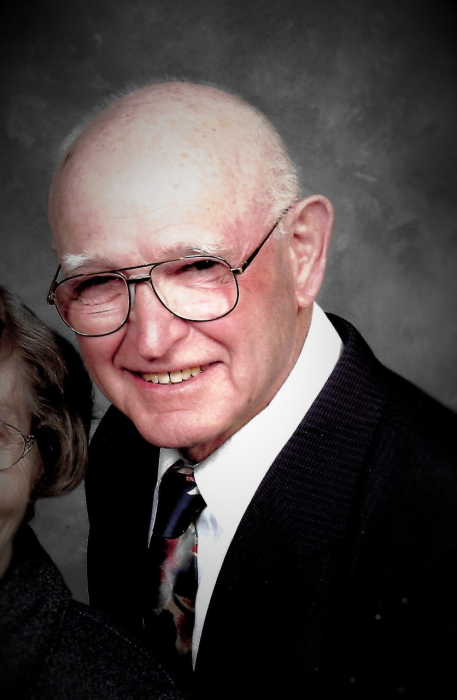 Robert Eugene Schortgen, 91, of Columbia City, passed away on February 3, 2019, in Fort Wayne. Born in Auburn on January 28, 1928, to the late, Alfred Nicholas and Teresa Frances (Hergenroether) Schortgen. He spent his formative years in Huntington County. Bob was married to Agnes Marie Rifner on October 6, 1951, in New Castle. The couple lived in Southern Wells County until 1963, when the couple moved to New Haven before settling in Lake TWP. in 1967. He retired from International Harvester in 1983, after 20 years. He was also a life long farmer. He enjoyed fishing, gardening, farming, woodworking and his faith. More than anything he loved spending time with his family. Surviving include his wife of 67 years, Agnes Schortgen; children, Joan (Randy) Brown, Nick (Cheryl) Schortgen, Mary (John) Nicholson, Anthony "Tone" (Janeen) Schortgen, Charles (Lee Ann) Schortgen, Christopher (Theresa) Schortgen, Lucy (Steve) Papaik, Clara (Randy) Meyer, Amy (Paul) Rohyans and Rose (James) Fritzinger; brothers, Herbert (Joyce) Schortgen and Lawrence (Ann) Schortgen; sister, Emily Heeter; 35 grandchildren and 68+ great-grandchildren. In addition to his parents, he is preceded by a brother, Richard Schortgen; four sisters, Virginia Payne, Jane Scher, Helene Collier and Marjorie Timbrook; a grandson, David Nicholson. Mass of Christian Burial will take place at St. Patrick's Catholic Church, Arcola on Thursday, February 7, 2019, at 10:00 AM, with calling one hour prior to the service. Family will receive friends on Wednesday, February 6, 2019, in the Parish Hall at St. Patrick's Catholic Church from 2 PM, until 7 PM, with the Holy Rosary recited at 7 PM. Burial taking place at St. John's Cemetery, Montpelier, following the funeral at 2:30 PM. Memorials to St. Patrick's Catholic Church, Arcola or Heartland Hospice.